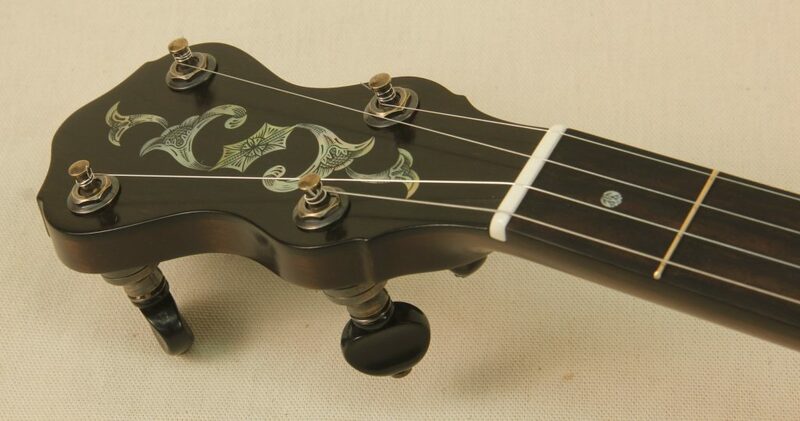 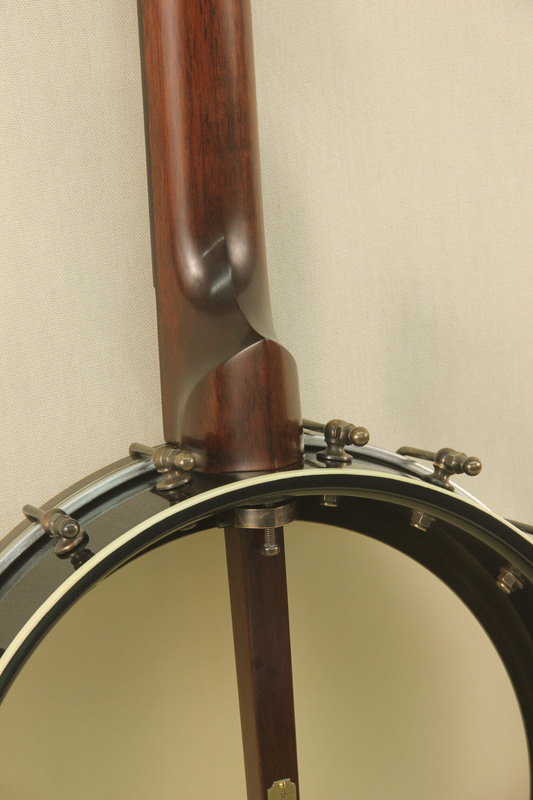 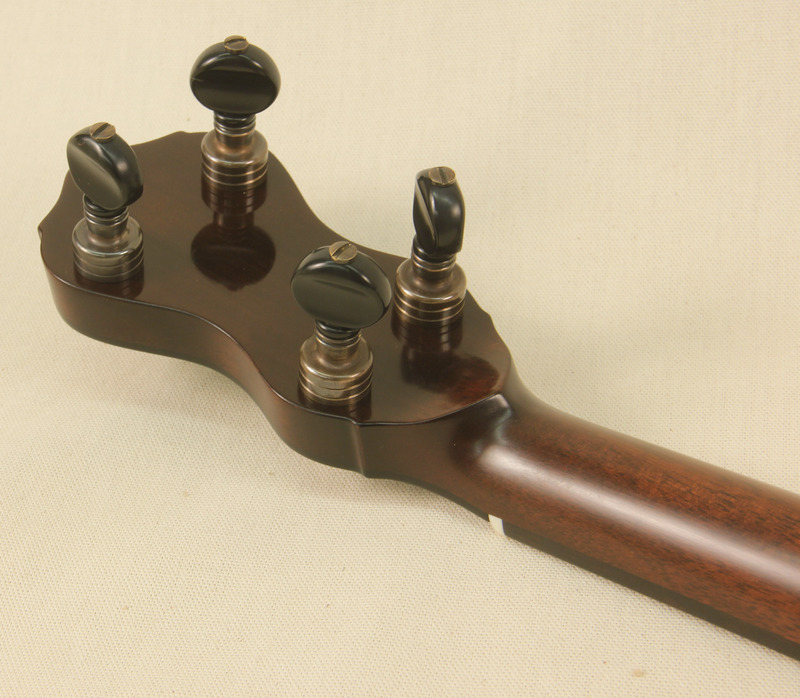 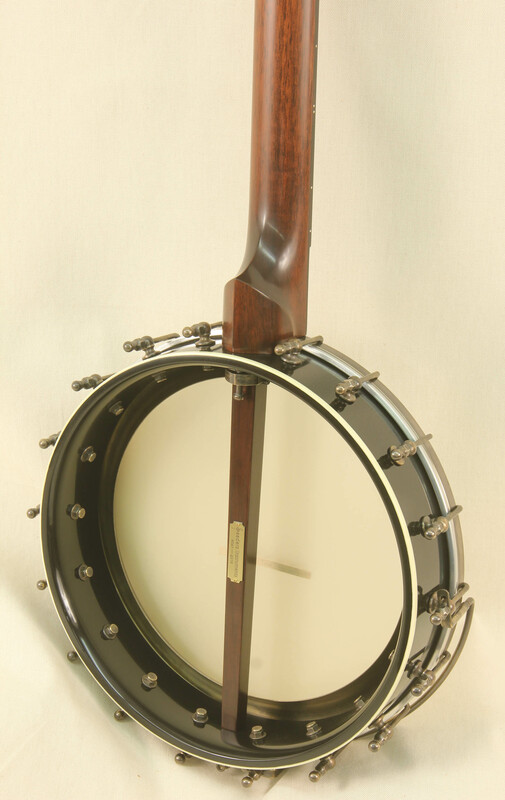 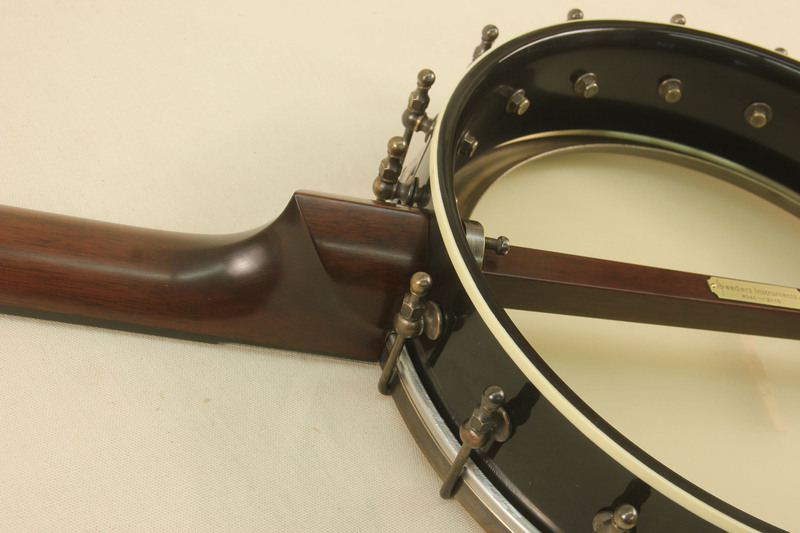 This banjo is the first of my Style 5 Dobson Specials. 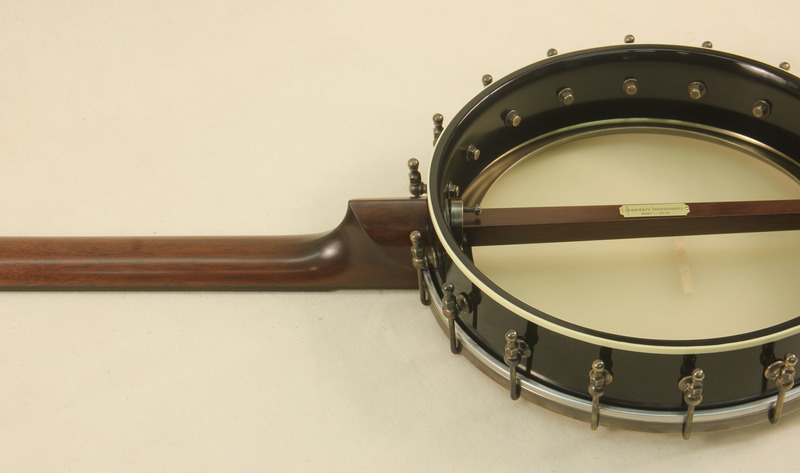 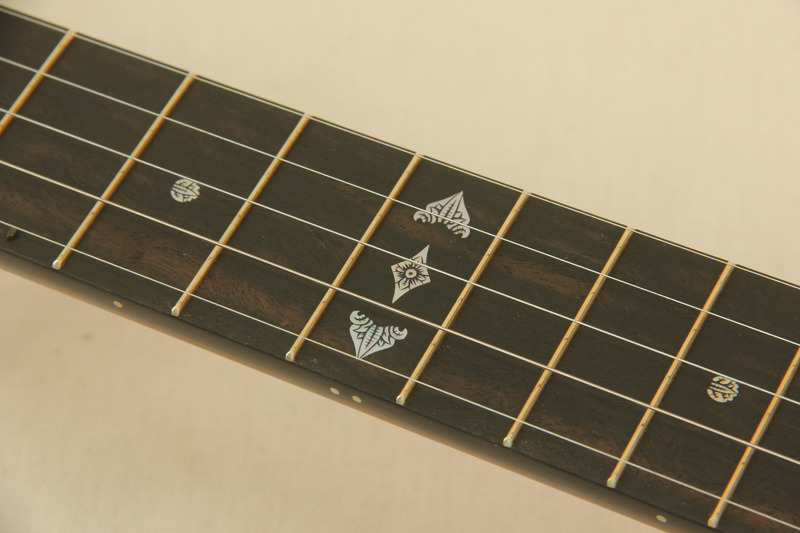 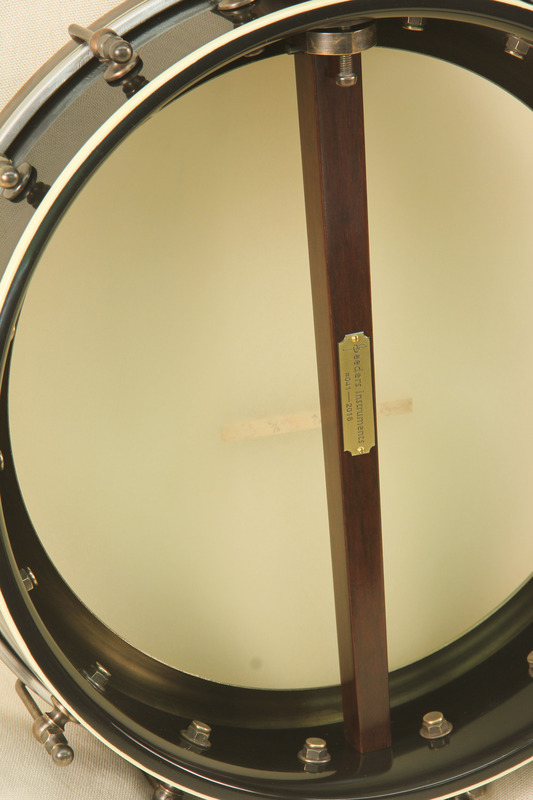 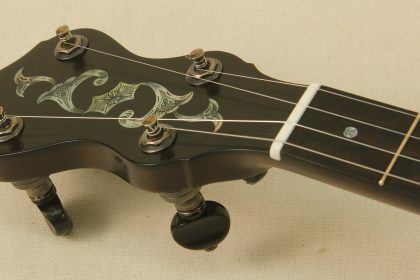 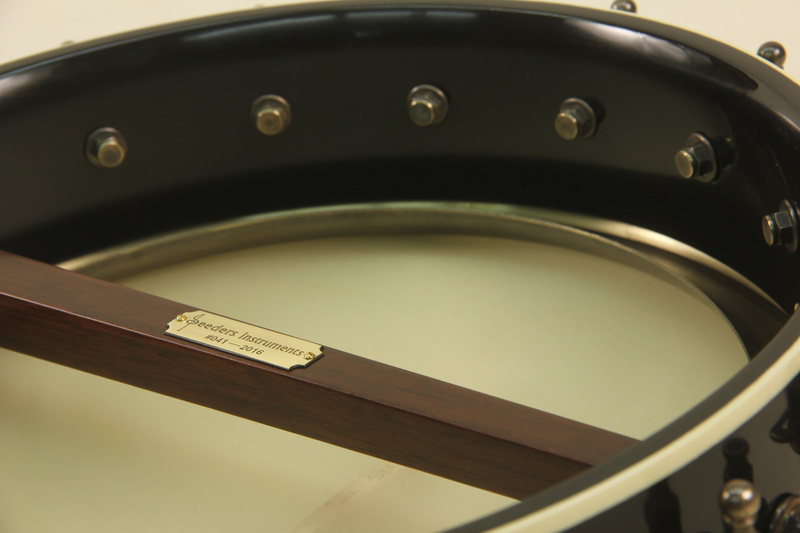 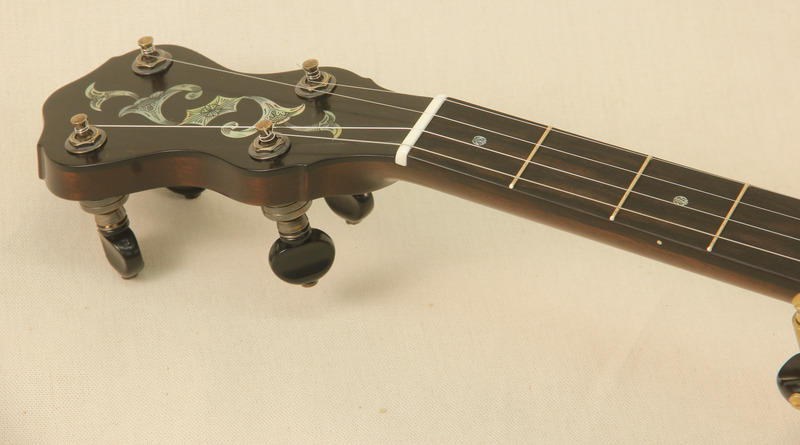 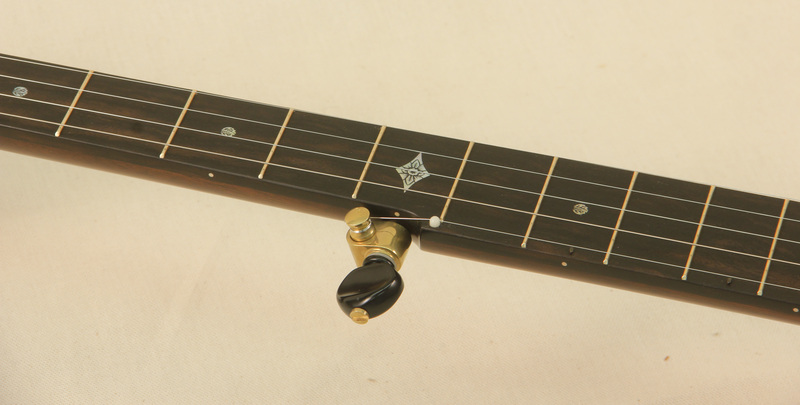 It has Style 5 inlay details with a Dobson tone ring sitting atop a rolled brass tone ring to isolate it from the wooden rim. 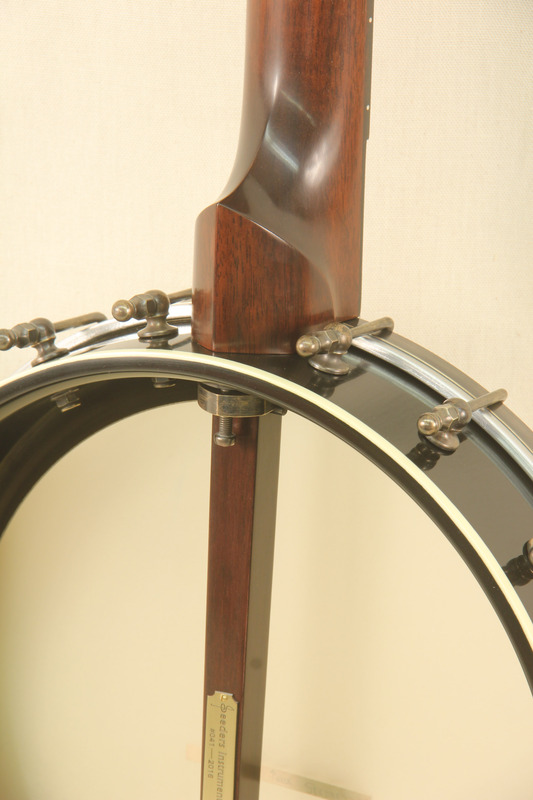 This creates the unique Dobson tone but adds an even deeper more balanced low end while keeping a nice crisp well rounded sound. 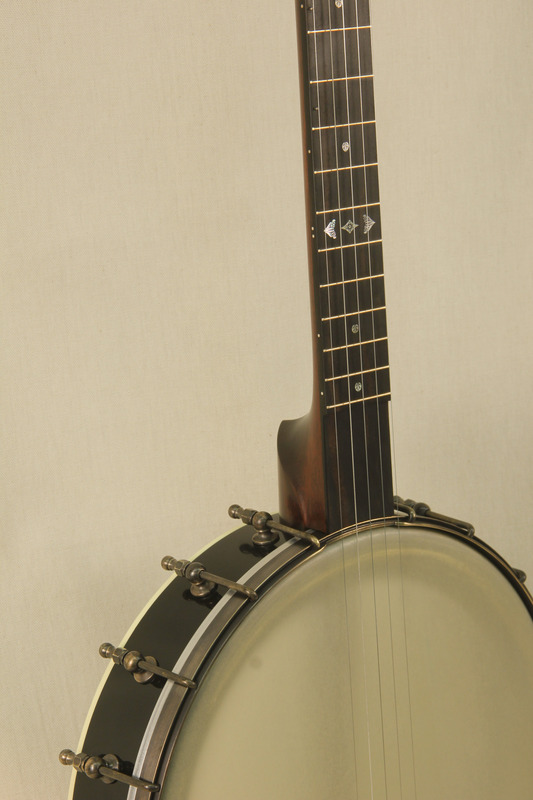 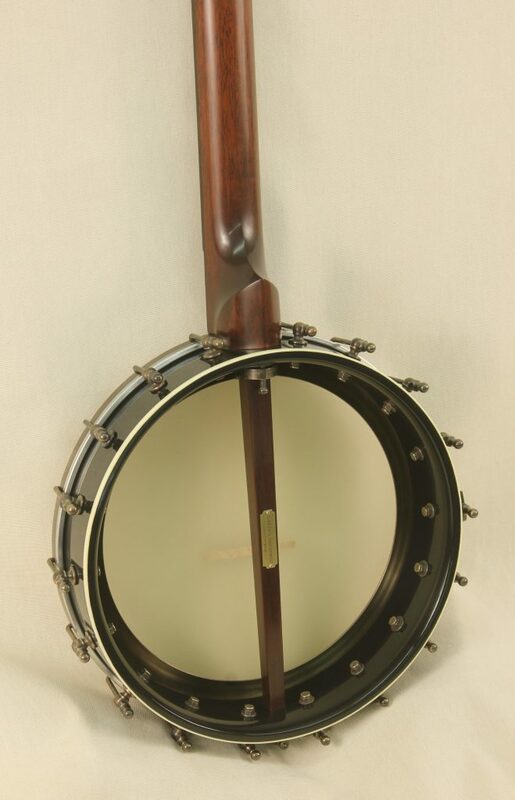 This banjo is owned by the talented Carling Berkhout and can be heard on her Instagram feed.